This is a hard line, too hard for some, but I would challenge anyone - farmer, doctor, lawyer, voter, seller, buyer, parent or child - to answer the question: How many more children do you think need to be injured on quad bikes before we say "enough is enough"? In Victoria alone, over a 12-year period almost 800 children under 16 years presented to emergency departments with quad bike trauma, and a third of these were admitted. The hospital I work in, the Royal Children's Hospital Melbourne, is our state-designated paediatric trauma centre, and so we see Victoria's most injured children. 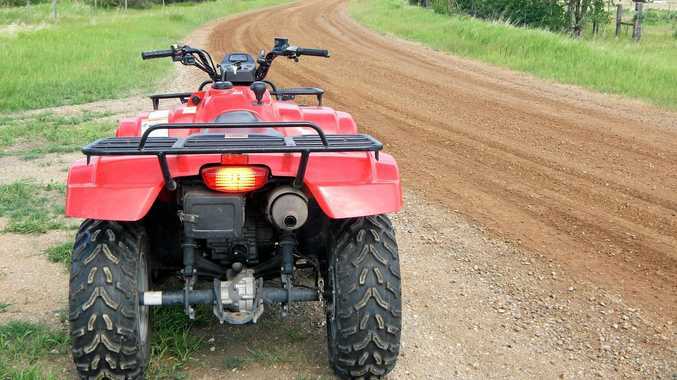 We have seen a rise in quad bike injuries each year - injuries that change children's lives forever: crush injuries to the head and chest, fractured thigh bones, spinal injuries, major burns, pelvic fractures and abdominal organ injuries. What starts with injury continues as disability with interrupted education, disrupted family life, loss of opportunity and more. What we don't see enough of is action. Together with many health and farm safety groups, my assertion is kids can only be adequately protected and injuries prevented with a ban: no child under 16 on any quad of any size, at any time in any place for any reason. Some say the ban isn't required, but I very much doubt they have listened to the cries of bereaved families or felt their broken bodies. Some say smaller quads can be safe, but the weight of evidence against this is only surpassed by the weight of the lightest quad as it crushes and suffocates its victims. Some say a ban won't work, but the 2010 ban in the US state of Massachusetts has achieved zero deaths in kids and dramatic reductions in injuries. Some say quad-bike legislation isn't their responsibility, priority or portfolio, but I say preventing childhood death and injury is everyone's responsibility and should be on everyone's agenda. Delay means further deaths and injuries - enough is enough. Warwick Teague is the Royal Children's Hospital surgeon and trauma services director.